I fabricated this mini vase by doming the sterling silver sides. Then I hammered them to give them an ancient plus I added a sterling silver overlay and handles. 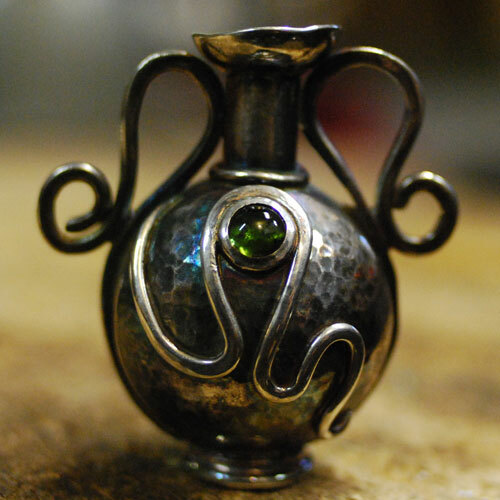 This miniature vase features a 6mm green tourmaline. This vessel stands 1.6 inches high and has a bail on the back of the vase so that it can also be worn as a pendant. Take a closer look to the details on the side.